Their first visit was right after the aquaculture tanks were filled with water. 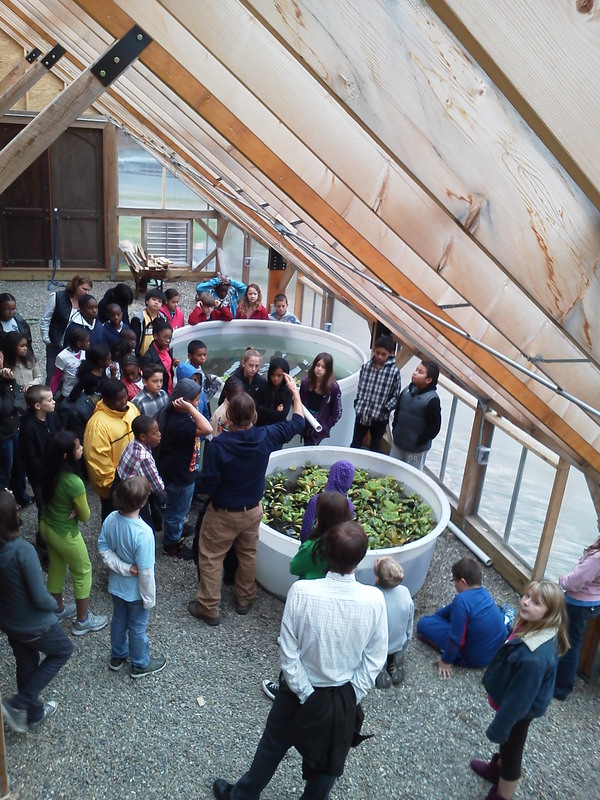 Students learned the basics of aquaponics and solar greenhouse design, including how the water in the fish tanks can absorb and store solar heat, and slowly release it as nighttime temperatures drop. 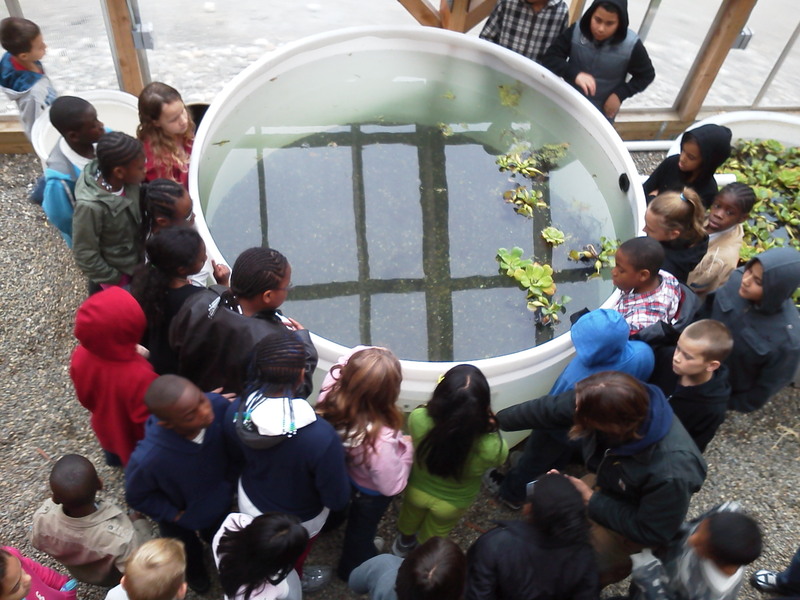 They closely examined water filtering plants like the water hyacinth, as well as our resident crayfish. Next we went outside to build a Winecap Stropharia mushroom bed. Winecaps are a gourmet edible mushroom that grow in woodchips. Once established, they are easily propagated. 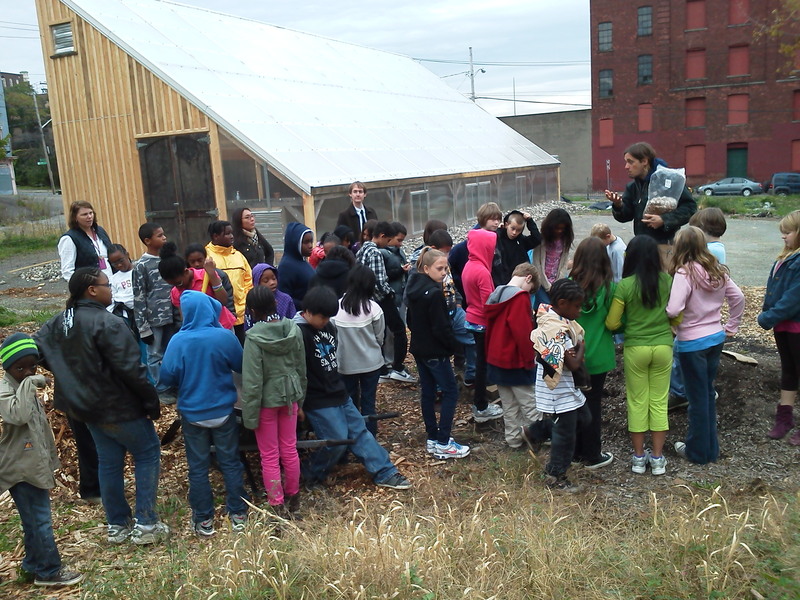 The students learned about the role that fungi play in ecosystems, and how they can be used to remediate contaminated soils. 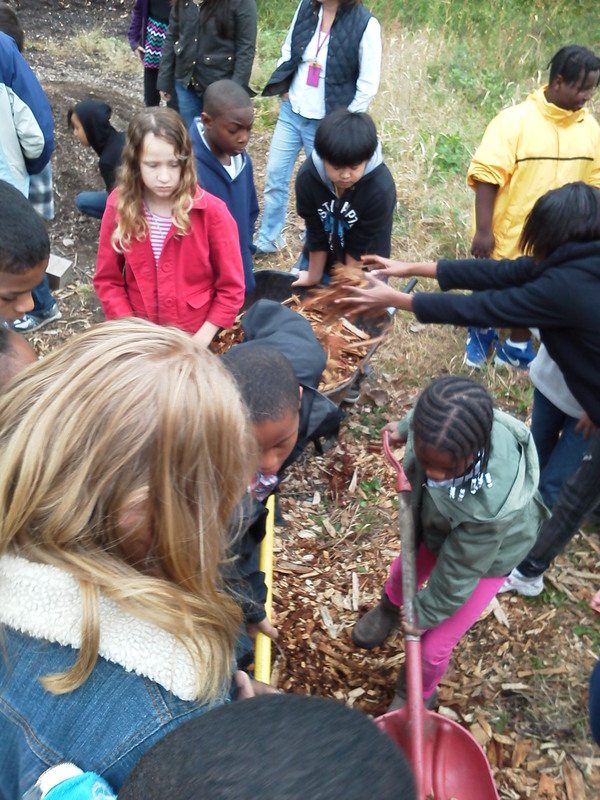 First, cardboard was laid down as a weed barrier, and was covered in layers of woodchips and straw. Mushroom spawn was mixed into the chips as it was added. 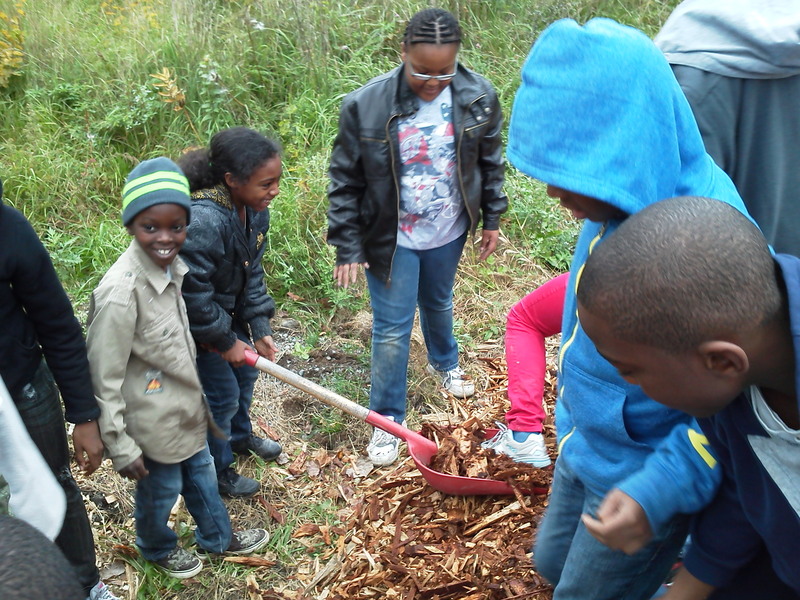 The students then broke into 2 groups and each learned about waste vegetable oil as a fuel, and beekeeping, including the importance of bees as pollinators. We look forward to their next visit! Please contact us if you are interested in organizing a student group visit to the Radix Center. Awesome work! This is vital schooling for this generation of youth, I Love to see it! I Hope you take some videos of your systems once they are up and running. The greenhouse looks great…. Is it going to have a compost heating system?